This is one of the smallest wireless contacts on the market. It is used for detection of burglary on a door, hutch, window etc. The unit has an input for sensors/devices with NO or NC outputs. This can be a sensitive mat, mechanical switches, push buttons, fire alarm, water alarm etc. 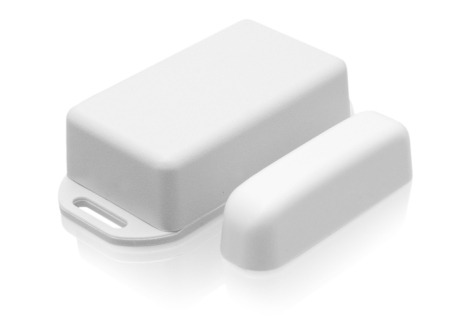 The wireless unit makes it easy to install any type of sensors with NC or NO output.